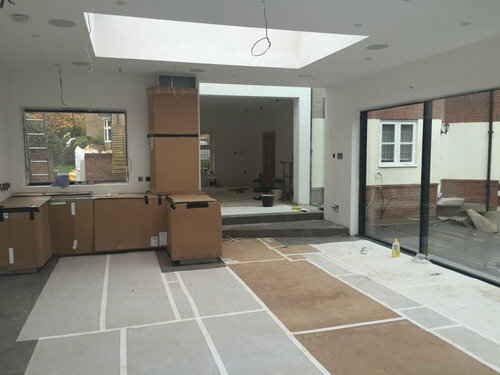 Interior Design of a Games Room in Esher, Surrey. 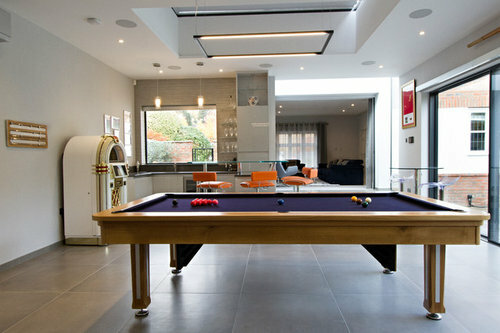 The brief was to help design a statement games room for my clients chosen games. 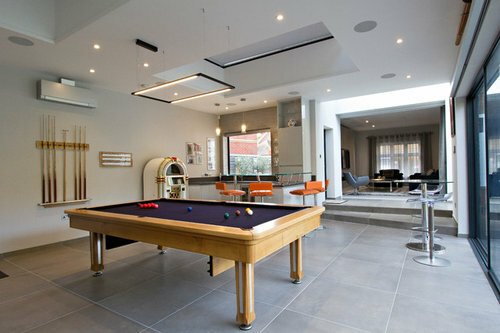 A room to entertain in, wind down and most importantly enjoy playing an assortment of games. It was important that the games themselves took centre stage and their surroundings were cool and modern with splashes of colour to bring in an additional element of fun. Cool grey linen wallpaper was chosen for the main walls and shimmer strata wallpaper to accent the bar area, keeping them simple but adding subtle texture and glamour for interest. 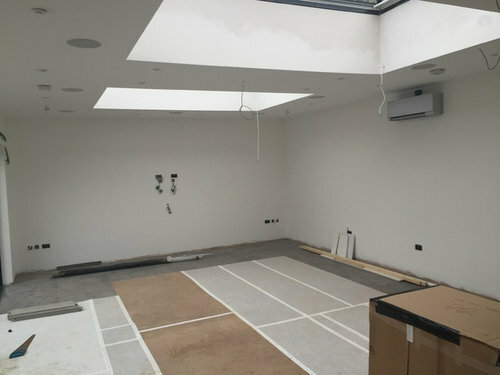 Large square grey tiles were chosen for the floor, a bespoke bar area was designed for refreshments as well as spectators. Bright orange bar stools and a midnight blue pool table cloth added an element of fun and also tie in with the adjacent living rooms art work and sofas. 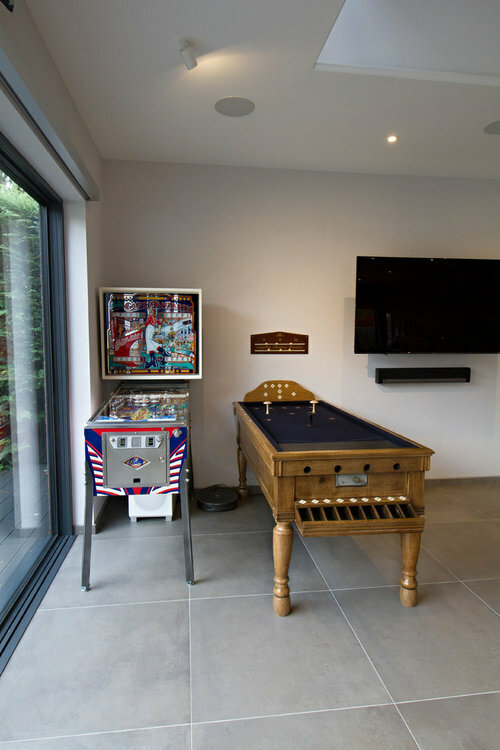 This created a contemporary, exciting games room for both players and spectators to enjoy and unwind. How to redesign room used as walkthrough?